CALGARY — As frustrations mount in the Canadian oilpatch over the Trans Mountain expansion project, a new report by the Canadian Imperial Bank of Commerce estimates that the pipeline crisis in Canada has cost the oilpatch $12 billion in forgone revenues over the past five years. “We estimate that a widening of the (heavy oil benchmark Western Canada Select) discount has cost the energy sector north of $12 billion in forgone revenues over the past five years – on top of the actual cost of increased reliance on expensive rail transportation and reduced investment,” CIBC Capital Markets’ economists Benjamin Tal, Andrew Grantham and Katerine Judge wrote in the report published Monday. CIBC’s report quantifies the level of dismay in the oilpatch thus far, where tensions are mounting ahead of Finance Minister Bill Morneau’s sold-out speech in Calgary on Wednesay that many executives hope will announce a resolution to the fight over Kinder Morgan’s $7.4-billion Trans Mountain pipeline expansion. 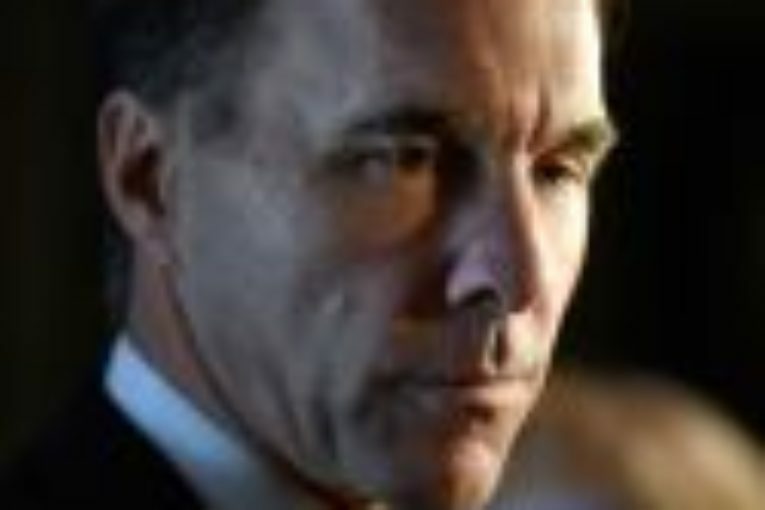 The timing of Morneau’s visit has elicited extraordinary interest, with The Calgary Chamber of Commerce confirming the event, set for May 30, sold out within hours. Morneau, who has been negotiating with Houston-based Kinder Morgan Inc., for Ottawa, will be speaking the day before the company’s Thursday deadline to resolve the pipeline dispute that has ignited a trade war between Alberta and British Columbia. Kinder Morgan gave the federal government that deadline last month, when it announced it would suspend all non-essential spending on the pipeline expansion between Alberta and B.C. and asked Ottawa to guarantee the project could proceed without constant delays. Kinder Morgan said it was aware of Morneau’s speech in Calgary but would not comment on whether the two parties were close to resolving the dispute, or whether the company would be directly involved in, or even attend, the event. “We will provide an update when there is one to give,” said Trans Mountain spokesperson Ali Hounsel, who repeated the company’s previous statement that it would not negotiate in public. There is massive public interest in the pipeline fight, which many oil and gas executives say has now come to symbolize the rule of law in Canada. “I can’t think of any other single issue that was as tense, watched as closely and probably as important” as the decision on Trans Mountain, said Tim McMillan, president and CEO of the Canadian Association of Petroleum Producers. After the cancellations of the Northern Gateway pipeline, Energy East pipeline and the Pacific Northwest LNG project, “this is our best opportunity – one of the last opportunities – to show the world that we can have major investments in our country,” McMillan said. McMillan and others have described the project as “critical” because it would boost Canadian commodity prices and reduce Canada’s dependence on the U.S. as the sole market for its oil. “It’s certainly been very frustrating that a project that has been through a multi-year, far-reaching regulatory review process, that has had federal government approval, approval from the government of B.C., won court case after court case after court case remains stalled,” said Brett Harris, a spokesperson for Cenovus Energy Inc., a shipper with the Trans Mountain project. “That’s really an indictment of the ability of our regulatory process to get these things through and once we get beyond this, that certainly needs to be addressed,” Harris said. Trans Mountain has become a “symbolic project” even beyond the energy sector that has become a proxy for Canada’s adherence to the rule of law, he said. Optimism about the project’s future is not shared across the sector. “I continue to be skeptical that a project that has been under dispute for years can find all the support it needs in less than two months’ time,” St. Louis-based Edward Jones senior analyst Jen Rowland said. “Even if an agreement is reached, we would caution that the project could still face delays as local opposition in British Columbia could be disruptive during the construction period,” she said. Still, Rowland believes the Trans Mountain expansion project is Kinder Morgan’s key growth project and would drive earnings growth of five per cent per year. Without it, she has said the company could expect earnings growth of two per cent to three per cent per year while competitors Enbridge Inc. and TransCanada Corp. are poised to grow their earnings by double digits. Ken Hughes, who owns Calgary-based Alpine Insurance and is a former Alberta energy minister, said he believes Kinder Morgan is serious about its end of May deadline. “The government of Canada and the government of Alberta cannot fail — they cannot fail Canadians on this one,” Hughes said, adding failure would put a chill on investment throughout Canada. “I haven’t seen any magic bullets at this stage,” he said when asked how the dispute could be resolved. He rejected a few suggestions that have been floating around the oilpatch, such as deploying the military to ensure protestors don’t disrupt construction activities because the military is only ever deployed to assist local authorities. “Coercion appears to only take us so far. Legal methods appear to be the best option,” Hughes said. To that end, Kinder Morgan last week won the latest in a series of court cases on the pipeline, with the B.C. Supreme Court judge ruling in one of the case that the City of Vancouver must cover Kinder Morgan’s legal costs. Jason Kenney, the leader of United Conservative opposition in Alberta and a former federal cabinet minister, said Ottawa should use “the power of the purse” to pressure B.C. into dropping its opposition by withholding funds from the province. He has also called on the Alberta government to get tougher with B.C. by using its new powers to restrict westward oil shipments. Alberta Premier Rachel Notley, he said, has “slow walked” her government’s own legislation on the file. For her part, Notley has said her team is engaged in daily conversations with Ottawa and Kinder Morgan on getting the project built and has refused to give a timeline on when she would use the government’s new powers to throttle back oil shipments to B.C. But in recent weeks, she has ratcheted up threats to “turn off the taps” to pressure B.C. into dropping its opposition.